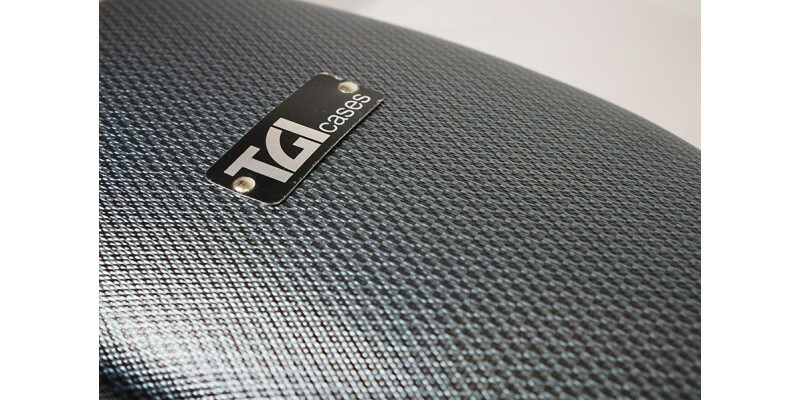 The TGI Dreadnought Acoustic Guitar Case features a neat carbon fibre effect finish. Built using ABS plastic it offers excellent value for money. We have them for sale online at Guitar.co.uk and in our Glasgow shop, Merchant City Music. Fast UK dispatch and delivery service. 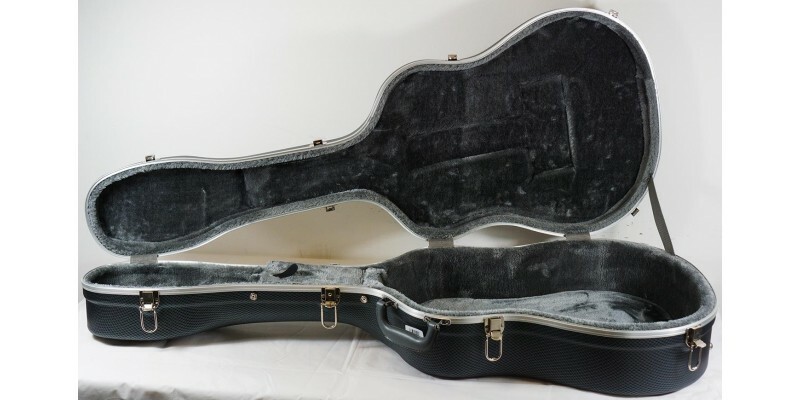 This guitar case is designed to fit standard sized dreadnought acoustics. 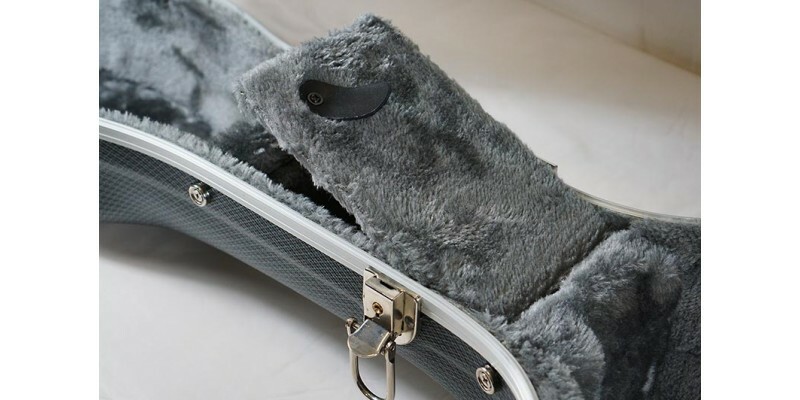 This guitar case is amazing value for money. Designed to fit pretty much any standard sized dreadnought shaped acoustic guitars. It has a plush grey interior that will not harm your instrument. There is also a small storage compartment just under where the neck rests. 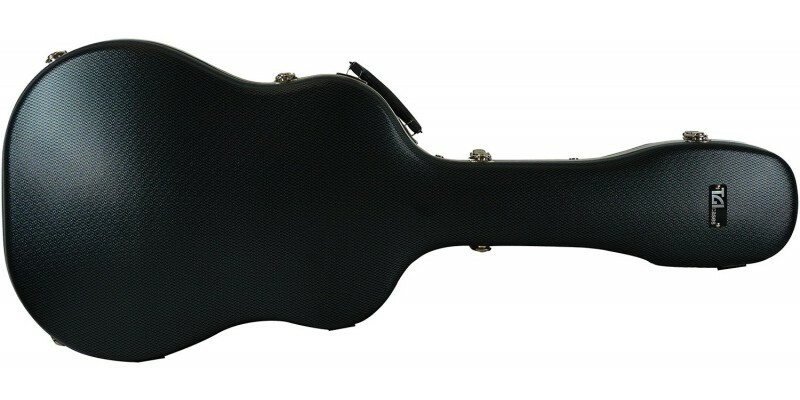 Perfect for a spare set of strings, capo and picks etc... On the outside of the TGI Dreadnought Guitar Case comes with a neat looking Carbon Fibre effect. A very convincing look even though it has been manufactured from a tough ABS plastic. Six latches on the outside of the case hold it all safely together. One of the latches locks.